The Samurai is still one of the most recognized warriors in the world today. It is nearly impossible to imagine the Samurai without the image of their prized katana. Only samurai could wear the daisho or katana as it represented their social power and personal honour. The Tiger Samurai Sword depicts the honour of the Japanese warrior in this decorative display katana. The piece measures 36 1/2" overall with a stainless steel blade. The handle is black cord wrap over a synthetic ray skin with cast metal fittings. 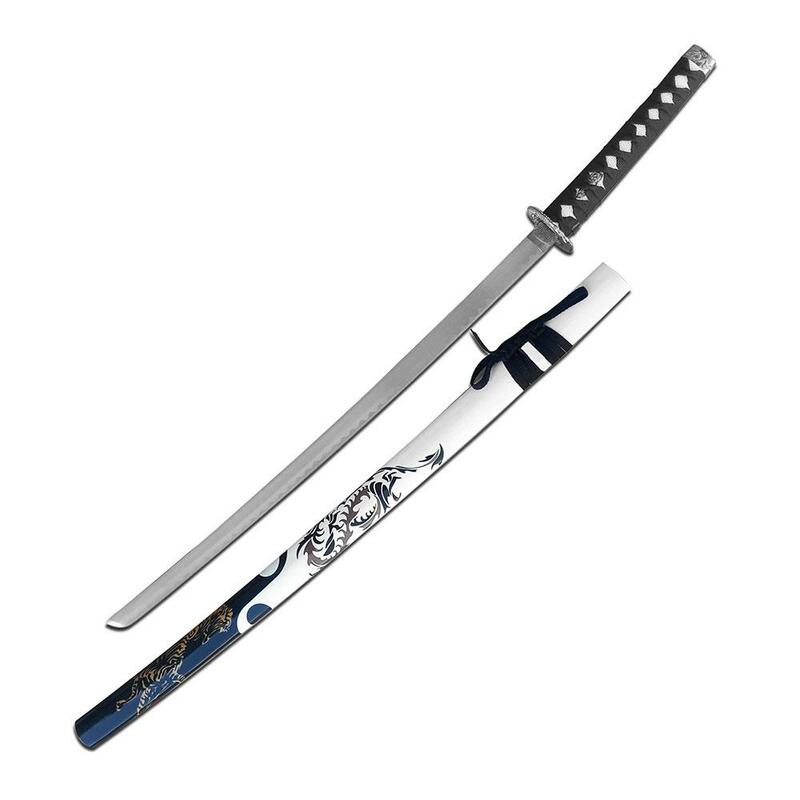 The scabbard is fully painted in white and the imagery of the tiger and scrollwork. An exciting home decor item for any sword collector. Tiger Samurai Sword - The Tiger Samurai Sword depicts the honour of the Japanese warrior in this decorative display katana. These swords are intended for display or costume wear only. If you are looking for martial arts grade katana please visit our Functional Japanese Swords section or Functional Chinese Swords for the Chinese martial arts.